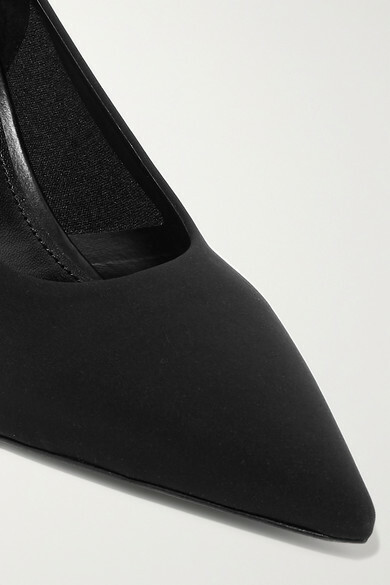 Prada's classic pumps are updated using the label's signature technical fabric - chosen because it's durable and allows your feet to breathe on warm days. 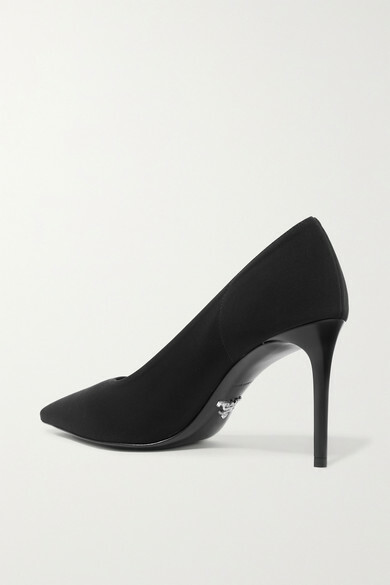 This neoprene pair has a sharp pointed toe and is set on an 85mm stiletto heel. Wear yours with tailored shorts or mini dresses. Shown here with: Prada T-shirt, Prada Blazer, Prada Pouch.